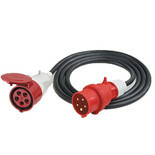 Mains connecting lead for use with the Clarke Devil 7015 electric fan heater. 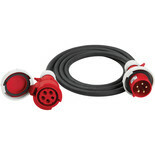 Connecting extension lead for use with Clarke Devil 6005 (5kW) & Clarke Devil 6009 (9kW) electric fan heaters. Limited stock, please call 0115 956 5555 for availability.